"I just love your products - in fact I went round to a friends house and commented on how nice her earrings were, only to find out that she'd bought them at my Silverdaze party!" "I've had lots of texts saying people enjoyed the party and are pleased with their purchases. One of my work colleagues would like to have a party too." "My Silverdaze party was fantastic, it was something different and a really good opportunity for a girly night in!" "I just love Silverdaze and all my friends really enjoyed the party. 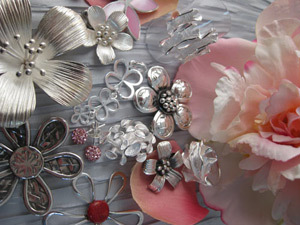 The jewellery is so reasonably priced, I've already decided to have another party in the spring." 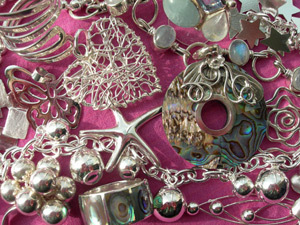 "I love the Silverdaze jewellery and hosting the party was really great fun and so easy." "I wear your jewellery all the time!" 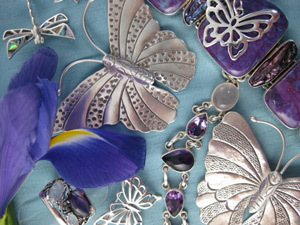 "My friends were surprised that there was so much lovely jewellery to choose from. I never expected such a wide range." "Yesterday I had your lovely lapis earrings on- I've been wearing them a lot, they go with so many things and you were right, they are 'me'. They go well with the lapis oval pendant that Chris gave me." "I came to the party with only £10 cash in my purse and ended up spending over £100 on my credit card. I am so happy with everything I've bought. Can I book a party at my house with you for my friends?" "I didn't feel under any pressure to buy at all and it was lovely to be able browse, try pieces on and make up my own mind with help from friends." "I'm passing round your leaflet at work and wearing as much Silverdaze jewellery as I can, which is easy as I wear it all the time! I will offer my colleagues the chance to have an in-house sale, will let you know." "Today I'm wearing my favourite - the amber triangle with the seeds inside which I just love and looks good with everything. Funny how amber looks lovely in silver but not in gold." "I love the idea that I was able to take my jewellery home with me after the party."